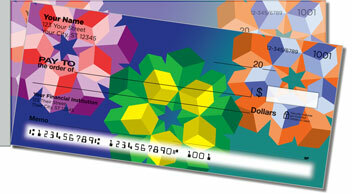 This set of checks features original designs with a postmodern motif. It's an eye-catching selection whether you consider yourself an artistic expert or not! Each design is quite different from the next, and you'll find yourself mesmerized by the abstract images. The greatest art is both a reaction to and a reflection of the world around us. It makes you wonder where the art world will head next. 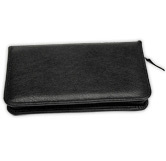 Modern Art Side Tear Checks from CheckAdvantage let you carry a mini museum in your back pocket. 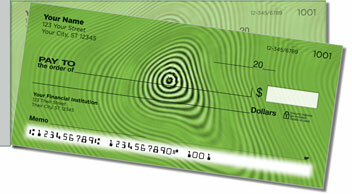 The easy-to-use side-tear option means you can stop worrying about unintentionally ripping your new checks. 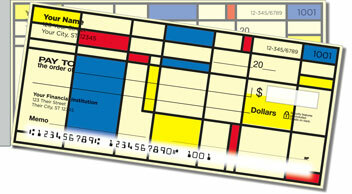 Get your own Modern Art Side Tear Checks today! 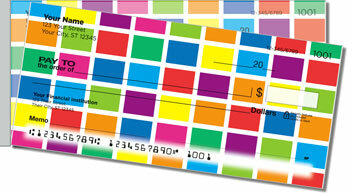 Add some class to your outgoing mail when you order matching address labels as well!